Scrabble doesn’t have to be a quiet, deliberate game played on a coffee table or a smartphone app: At Literacy Chippewa Valley’s annual Scrabble Bee, it’s a fast-paced, team-oriented – and above all, fun – game. 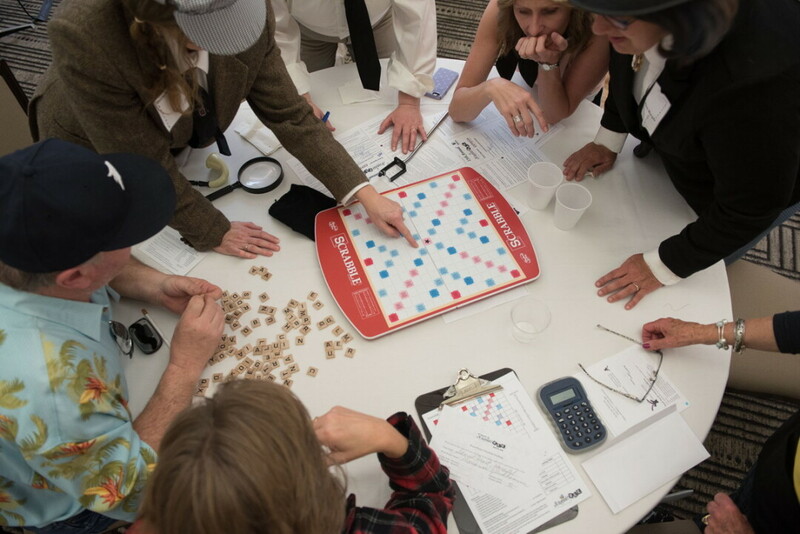 Scrabble Bee, now in its 18th year, brings together about 40 six-member teams for an evening of scrambling and spelling. In the “Hare” division, teams compete in three rounds of play. In the first round, team members work together to build the best-scoring board by using all 100 Scrabble tiles. In the next two rounds, the amount of time to play is reduced, and tiles are randomly removed from the bag. (Don’t worry, you can buy back the ones you really need for $5 each.) If you’re more interested in traditional Scrabble, sign up a group of friends for the “Tortoise” division, where you’ll enjoy a more leisurely-paced competition against each other. Either way, it’s a fun-filled evening building words and friendships. Best of all, the entire event is a fundraiser for Literacy Chippewa Valley, which provides literacy programs to hundreds of adults throughout Eau Claire, Dunn, and Chippewa counties. Between rounds competitors can enjoy free pizza, peruse raffle baskets, and learn more about the work of Literacy Chippewa Valley. Find out how you can register a team (the deadline is April 9) or sign up to donate or volunteer at literacychippewavalley.org/scrabble-bee-2019.